Anthem of a Teenage Prophet, 2018. Starring Cameron Monaghan, Peyton List, Grayson Gabriel, and Juliette Lewis. After the loss of his best friend following a late night premonition Luke (Cameron Monaghan) finds himself isolated, confused and hounded by local press. 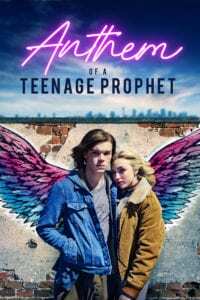 Branded by classmates and battling unrequited feelings towards Faith (Peyton List) who is mourning the same loss, this rites of passage fable brings together disparate people in search of emotional closure. Cameron Crowe, Richard Linklater and Kevin Smith would be proud. Director Robin Hay perfectly captures time and place in this mid-nineties movie moment, whilst tipping her hat to an evocative period before Instagram celebrity and millennial millionaires. Mixing elements of Josh Trank’s Chronicle and Rian Johnson’s Brick if only in tone, Anthem of a Teenage Prophet acts as a showcase for Cameron Monaghan from the opening frame. If the name sounds familiar and his face more so it maybe because Monaghan managed to resurrect an iconic Batman villain in Gotham. That performance demonstrated a versatility and lose cannon creativity which made others pay attention. Here Monaghan is on screen for almost all of Anthem’s run time giving life to an archetype, instilling depth and emotional complexity without ever resorting to stereotype. Much of the performance is insular measured by mood rather than dialogue and this actor works to keep it believable without drifting into melodrama. Through a combination of different camera styles Robin Hay recreates the world in which darker John Hughes incarnations would exist. In many ways Anthem is an ensemble piece in which each actor plays their small but essential part. In the few scenes she has Juliette Lewis makes a significant impression whilst simultaneously feeding into that sense of nineties nostalgia. Combine this touchstone with an outstanding soundtrack plucked straight from that time period and we are left with something of substance. There are those who will make Dane DeHann comparisons here but Monaghan dials back the intensity giving Luke softer edges. He may share similar DNA to his contemporaries but remains his own animal maintaining a dramatic balance between audience empathy and dramatic progression. 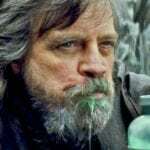 Luke’s unrequited feelings for Faith and crippling visions are handled with care, whilst any jealousy between himself, Fang and Faith is given credence but never exploited. Anthem of a Teenage Prophet at its best is a film of multiple moments touching on the best of nineties cinema. Linklater, Hughes, Johnson and Crowe might have been the inspiration but Robin Hay has created something unique. Not only does it fully exploit the established charisma of its leading man, but weaves a movie of mood, melancholy and adolescent angst which would sit comfortably alongside other proponents of the genre.